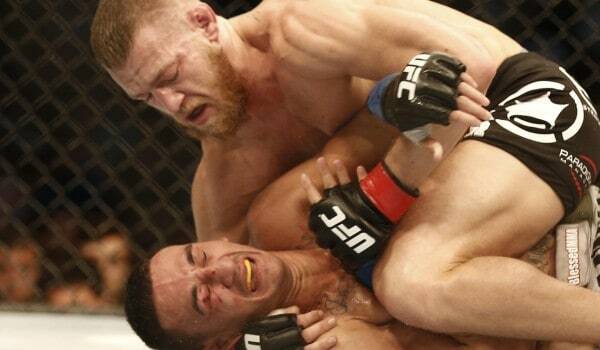 Conor McGregor is officially a freight train at this point in MMA. He’s huge, everyone talks about him, and the guy is only entering into his third UFC fight. That’s insanity. This video was produced to hype up Conor McGregor vs. Diego Brandao, which is happening on July 19th in Dublin, Ireland and, dear god, that is going to be crazy. Imagine that. Conor McGregor fighting in Dublin. Damn. Anyway, the first thing that caught my attention about this video was the awesome use of music. 28 Days Later is probably the best “zombie” movie of all time, which is ironic as it wasn’t about zombies at all. Part of what made it so great was the phenomenal soundtrack and this video uses the awesome “In the house, in a Heartbeat” track from it.